Forward-looking: Remember when smart speakers first arrived and many thought them pointless devices that would quickly die out? Today, it appears the doubters are being proved wrong. According to a new report, their install base is set to grow 82.4 percent this year, reaching over 200 million by the end of 2019. 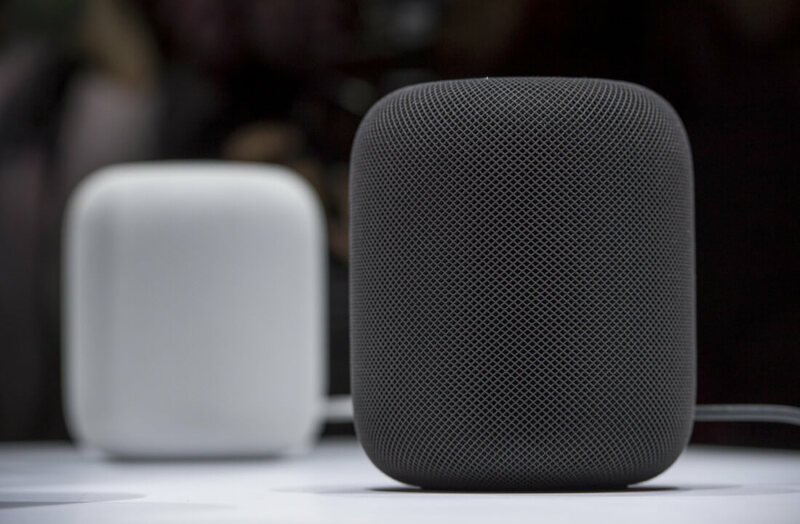 Market analyst firm Canalys reports that after ending 2017 with 114 million active units, the number of smart speakers will increase to 207 million devices by the end of this year. Most of this astronomical growth will come from East Asian markets, particularly China, where YoY growth is estimated at 166 percent—and that’s despite a lack of presence from Amazon and Google. The Tmall Genie is the country’s most popular speaker, followed by the Xiao Ai and DuerOS. 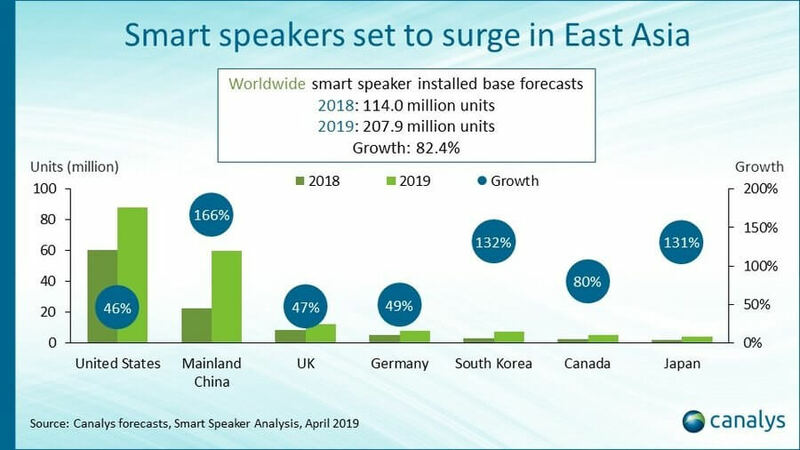 The US is expected to remain the leader when it comes to most active smart speaker devices, accounting for 42.2 percent of the global install base before 2019 is out. Several tech industries, including traditional PCs and tablets, are shrinking. 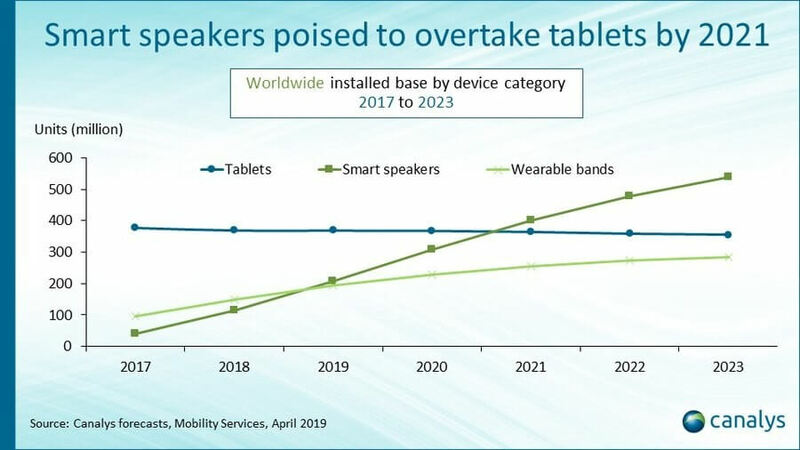 As smart speaker sales increase, Canalys expects them to overtake tablets by 2021, at which point their install base will be over 400 million. Additionally, the AI-powered devices are set to surpass wearables, a segment that is showing growth, as soon as this year. “Smart assistants are becoming a conduit to offer services, such as assisted living, healthcare and government services," said Jason Low, senior analyst at Canalys. "Vendors want smart assistants to be the default option for channeling vital information and communication duties for the masses, allowing for new service integration, such as digital health and assisted living. Extended technology players in the fields of security, finance, health, data analytics and others should be on the lookout for new opportunities arising from this trend," he added.